Cork University Business School and the FDC Group are proud to announce the creation of a scholarship programme for up to 20 students over the next five years, to be known as The Jack Murphy Scholarship. Aimed at students from our MSc Co-operatives, Agri-Food and Sustainable Development and the MSc Management and Marketing, the programme will provide successful applicants with a scholarship worth €12,500, along with a guaranteed placement opportunity within the FDC group. In total, FDC have committed to spending 250,000 euro on the scholarship over the next five years. 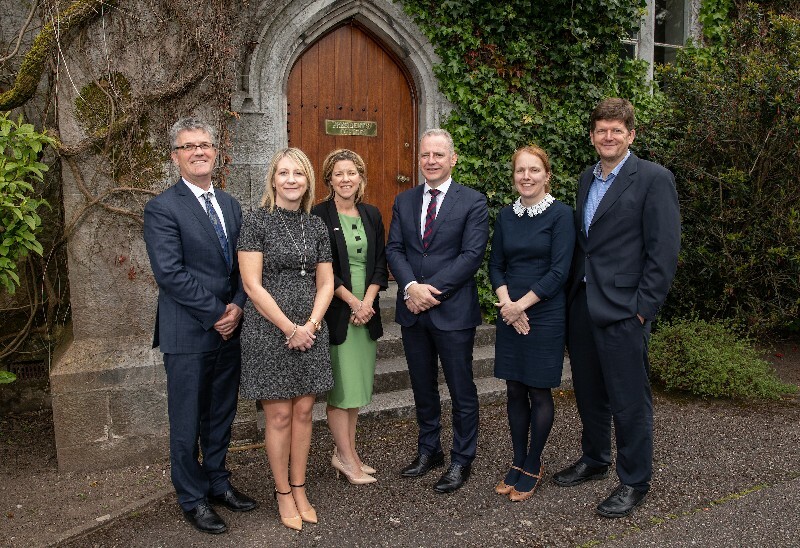 Headquartered on Wellington Road in Cork city, the FDC Group have provided business solutions to clients in rural Ireland since 1973 and have grown to become one of the country’s largest accountancy firms. The FDC Group, who employ over 300 staff across 30 locations, began the process of developing the scholarship programme alongside CUBS programme directors Dr Olive McCarthy and Michael Murphy after being impressed by the contribution made by their students on placement within the company. By its very nature, the MSc Co-operatives, Agri-Food and Sustainable Development aligns with the FDC Group’s ethos by providing students with the skills needed to make innovative contributions to the development of local economies. The MSc Management and Marketing offers students from a variety of academic backgrounds the opportunity to pursue a career in a wide range of business environments with a focus on management and marketing, and also offers an industry-focussed work-placement opportunity. As part of application process, and in keeping with the FDC Group’s ambition of meeting the service needs of business and farming clients throughout rural Ireland, scholarship holders must identify an important issue facing rural Ireland and propose a concise strategy to address this issue. A short list of candidates will then be compiled, before applicants will be asked to sit an interview opposite two FDC Group directors and Professor Thia Hennessy, Dean of Cork University Business School. To qualify for The Jack Murphy Scholarship, applicants must have received an offer and have accepted a place on either the MSc Co-operatives, Agri-Food and Sustainable Development or MSc Management and Marketing and have attained a minimum Second Class Honours Grade 1 in an approved primary degree or equivalent.